There seems to be two distinct camps when it comes to Cranberries, those who love them and those that do not. Guess which side I’m on? 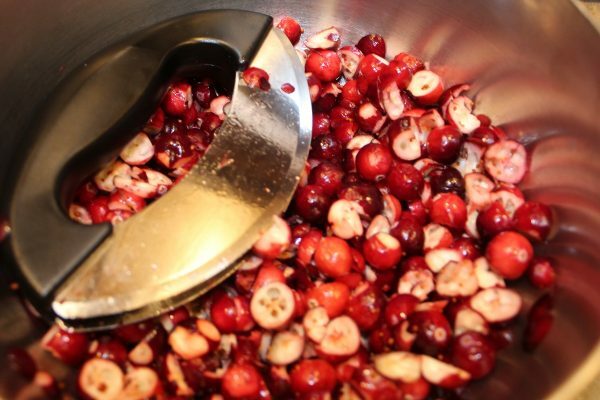 I LOVE Cranberries and every Fall I buy several bags to put in the freezer to use over the next many months. 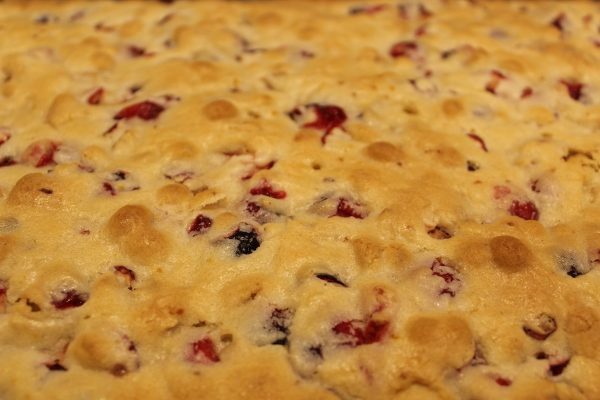 Cranberry Sauce, Cranberry Relish, Cranberry Chutney, Cranberry Muffins, Cranberry Scones, Cranberry Apple Crisp and more! 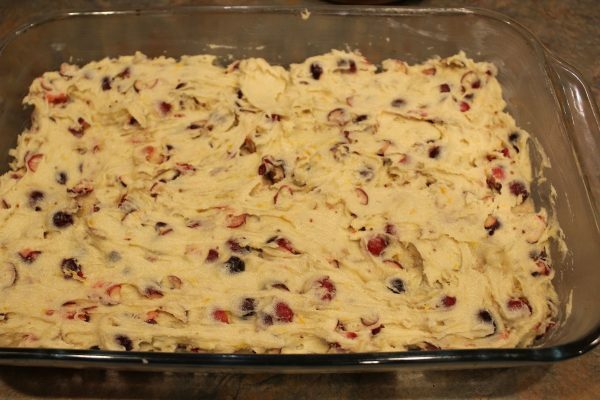 I already have a few loaves of Cranberry Orange Bread in the freezer so I thought I’d try my hand at creating a Cranberry Orange Cake. Those two flavors go together perfectly, just like bread and butter. 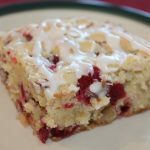 This cake is rather dense, more of a coffee cake texture but it is jam packed with fruit and nuts and just bursting with flavor. It’s pretty too. Bright ruby red fruit and flecks of Orange Zest with every bite. Topped off with a Confectioners Sugar drizzle it is really delicious. I wasn’t sure if Sparky would like it but he said, “yep, this one’s a keeper,” so I decided to share it with you all. 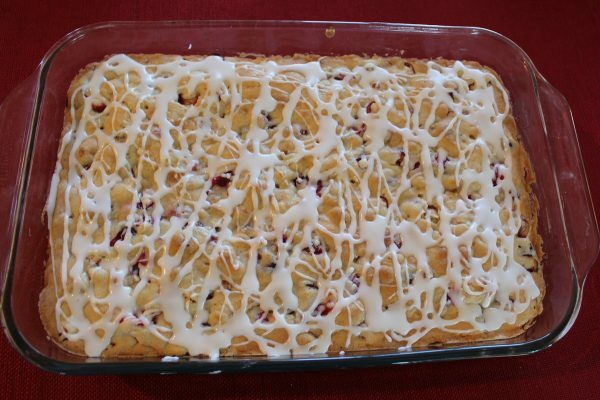 Cranberries, they’re not just for Thanksgiving, but something to enjoy year round. This is what we’ll need. 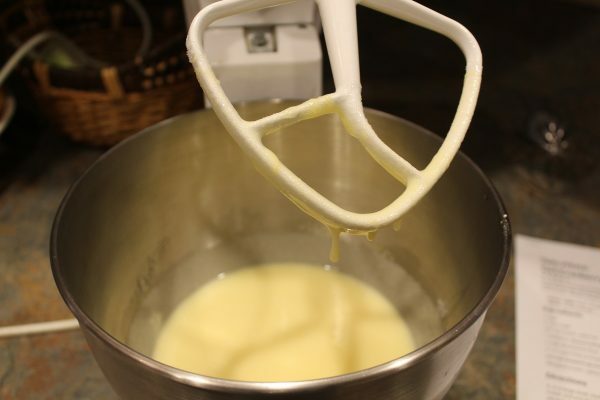 Place the Eggs and Sugar in a large mixing bowl. Beat on low-med for 5 minutes until Lemony colored and slightly thickened. Add the Butter, Orange Extract and Orange Zest. Beat until combined, about 1 minute. This should "sheet off a spoon," so you know it is the right consistency. Stir in the Flour by hand, a half cup at a time until combined. 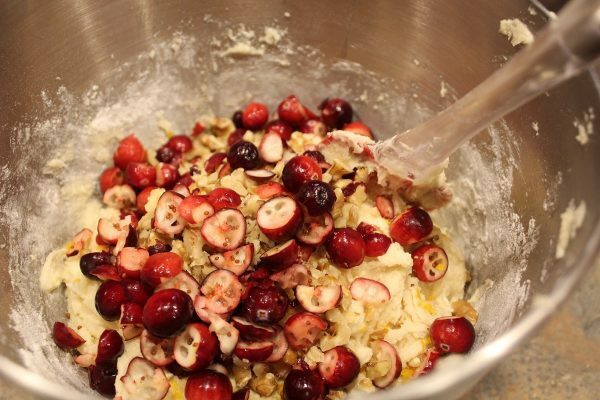 Then stir in the chopped Cranberries and the Walnuts. Spread into a greased 9x13" pan and smooth. Bake at 350° for 45-50 minutes until golden and a toothpick inserted in the center comes out clean. Remove from the oven and let cool for about one hour. 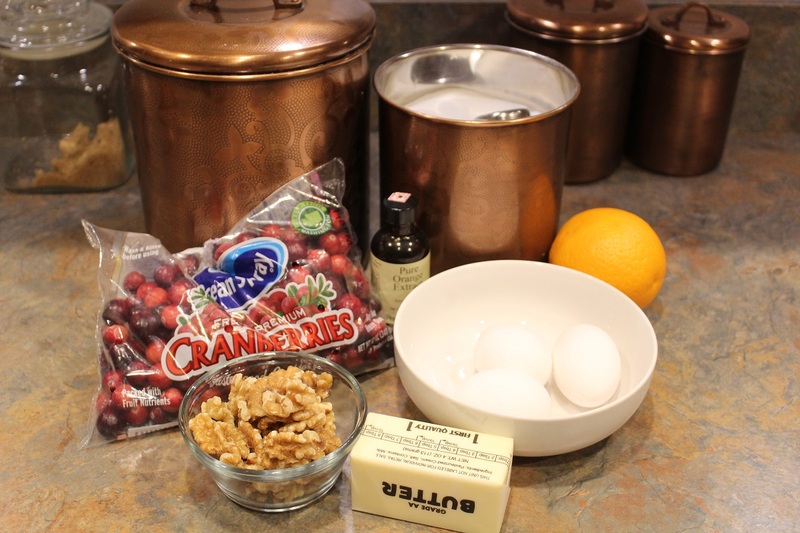 In a small bowl, combine the Confectioners Sugar with the water. Spoon into a Sandwich sized bag. Cut off the tip and pipe the Icing all over the cake.